Just like any other business, Equestrian businesses need to know what their audience is seeking, and the way they are seeking it. One of the most important components of digital marketing is understanding your audience. You may know horse people, but you have to know why people are phrasing questions when they are typed into a search bar. If you have used different phrasing, or your topic is ever slightly different, you may be missing huge potential. Luckily, there are a number of free online tools that can help you quickly and easily begin to assess this information. Google Trends is a comparative analysis tool from Google that allows users to look at the relative popularity of different search queries. Google Trends is surprisingly easy to use. Just go to the site, and enter your starting topic or term. The first thing it will show you is a graph that reflects the term’s interest over time. So with that, you will be able to see if there is a spike during a certain week or month. So for information that is seasonal, for example, if you are marketing blankets or fly spray, you can see when searches for those items ramp up and increase your marketing efforts at the right time. Things get really interesting though when you enter a second search term. Then you can compare the popularity over time of different terms. Some terms might have a huge spike at a certain time, but at other times have relatively low volume. Other terms might seem lower, but be searched more consistently year round. You can use the map and geographic location to then figure out what local preferences there are, or in what areas of the country you need to focus your marketing efforts. You can also then scroll down and see what “Related Searches” Google comes up with, for things that are similar- there may be terms that hadn’t occurred to you, or there may be searches relative to your competitors. Answer the public is a really fun and easy way to see what questions, relative to any topic, that people are asking. You can only use it three times per day for free, and the Pro Version is $99/ month, but if you think carefully you get a lot of info out of your free uses. Just type in your topic, and it will show you a graphic with all the questions people are asking about that topic. With the pro version, you get more tools for data assessment, but with the free one, you can still get some great ideas! Buzzsumo.com is another great way to get an idea of what information people are seeking but in this case its specific to individual websites. Type in any website and it will tell you what their most popular content is. For example, if you type in “hitsshows.com” it will show that have had the most engagement on their HITS Balmoral, or Chicago series of shows, over the last year. That might be helpful to advertisers, and tell them that they need to put more energy toward the newer Chicago venue, as opposed to Thermal or Ocala. Again, limited information is available for free- but this offers great insights. This is an awesome resource for horse topics because it’s been around for a long time and is heavily used by equestrians. Then set your filter in the top left to filter by channel. Check out which channels have the most subscribers. In this case, the winner is Equestrian Prep, with 55 thousand subscribers. From there, go to the videos, and sort by newest. 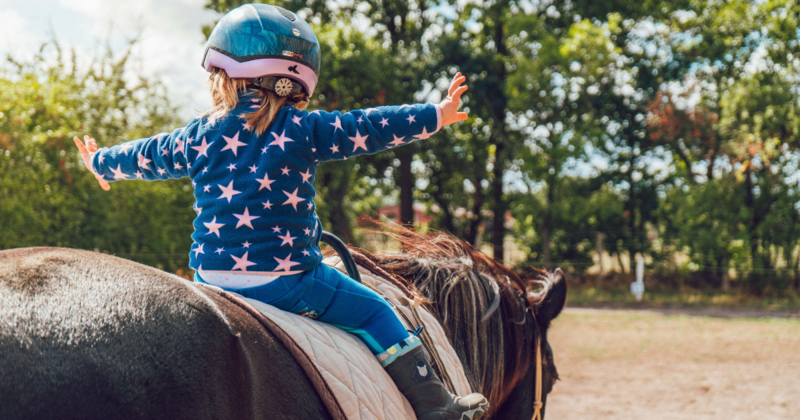 Looking over their collection, it’s easy to see that Vlogs from a College Equestrian Lesson and from Waterloo Horse Show are among their most popular content, as well as Spring Cleaning and Horse Care videos. So from this, we get a great idea of the interests what these particular subscribers. But then you can also check out related channels to get a broader idea of other audiences. Yes, we all know about Google. But this method is a way of getting access to the horse community in a different way, by searching forums. You could also do this inside of a Facebook group. But search forum: “I need help” or “help with” or “anybody knows” and the horse. This is a really interesting way to understand the different questions people ask within horse-centric forums. This is particularly interesting because these are often topics on which people have already tried to find and have come up empty, so they ask within a forum, like Chronicle of the Horse. Therefore, they are awesome things to address! We hope you find these useful ways to begin making your mark, and contribution to, the horse industry. To really ramp up your marketing efforts, contact us at Top Line Media Team and let us help you create a great website and strategy! Jenn Crow has been a lifelong barn rat, and a hunter/jumper professional for 20 years with a passion for teaching and operations, from lesson programs to IEA Teams, to shows such as WEF, Harrisburg, and Washington.